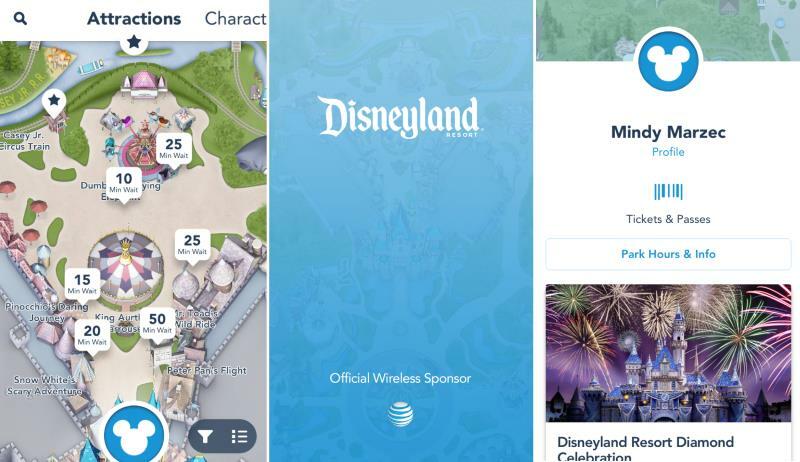 Disneyland is finally catching up to Walt Disney World by releasing their own official app for iPhone and Android this week. 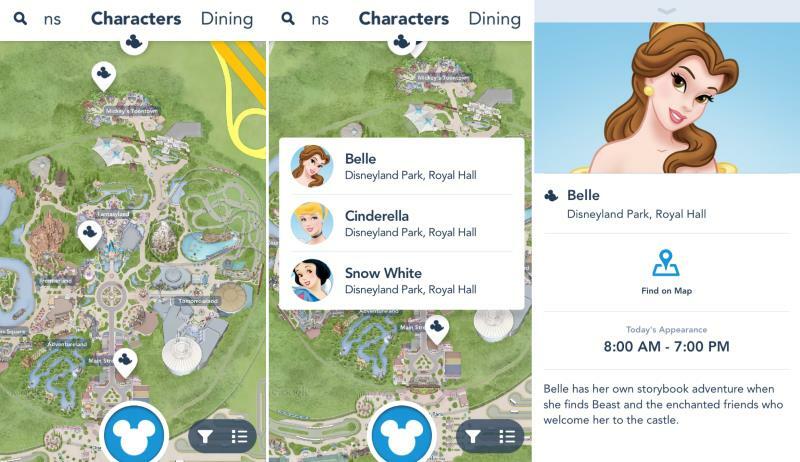 The app still doesn’t have a lot of the functionality that the Walt Disney World app has, such as making dining or FastPass+ reservations, but maybe the launch of this app is a sign that these changes are coming to the Anaheim parks??? 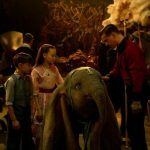 Note the app is difficult to find because it’s so new. 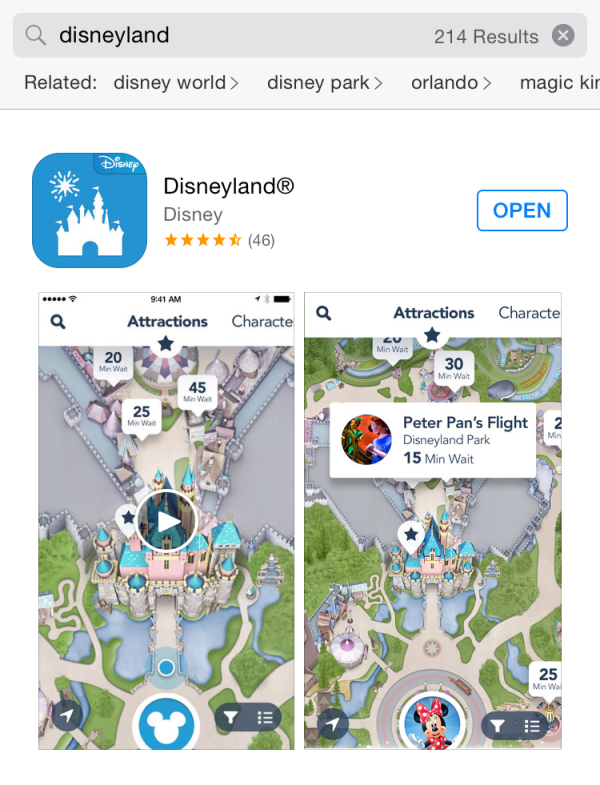 I can only speak to the Apple app store, since that is what I own, but if you search the App Store for “Disneyland” you will need to scroll down past 10-15 other apps until you find the official Disneyland app, distinguishable due to the trademark ®. 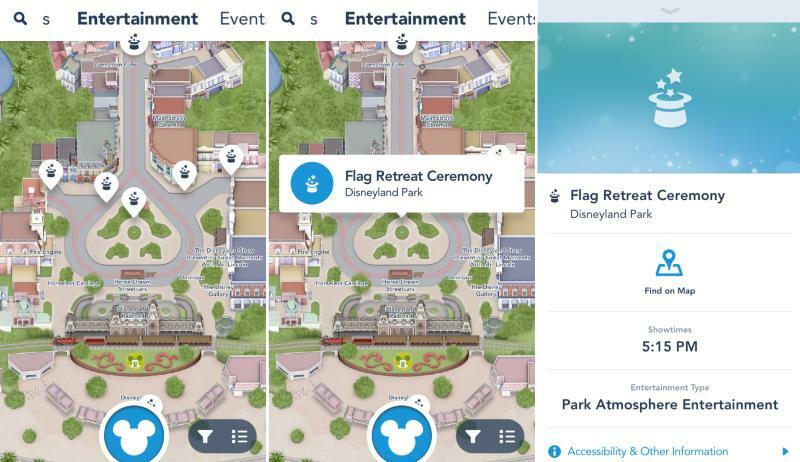 The official Disneyland app basically does what a lot of the unofficial apps do, which is provide wait times, maps showing important locations such as restrooms and first aid, and information about daily Park events. 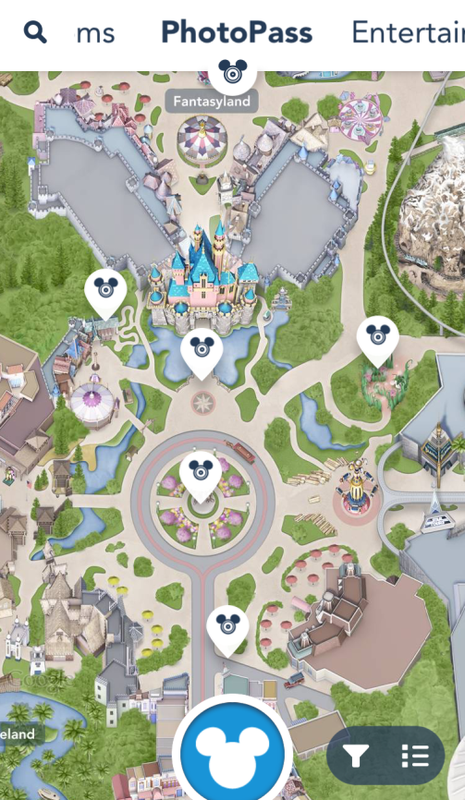 If you turn on the location settings, you can find your location on the Park map, which means you won’t have to decipher those archaic paper maps any longer. 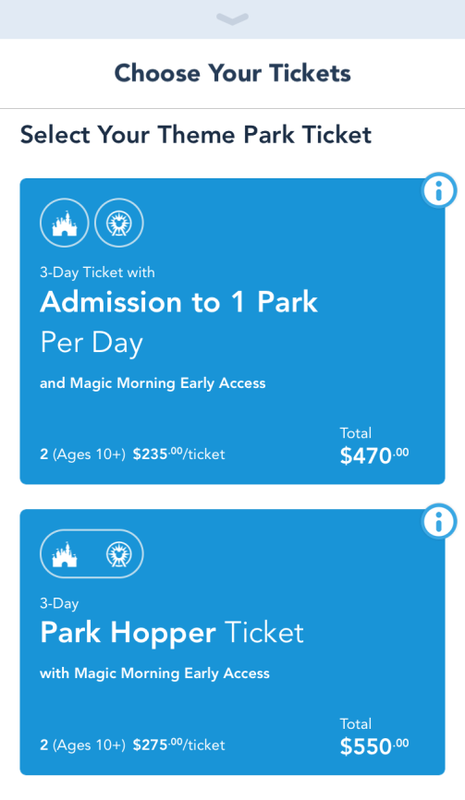 You can also buy your Park tickets directly through the app and use your phone to enter the Park, which is a pretty darn cool feature. 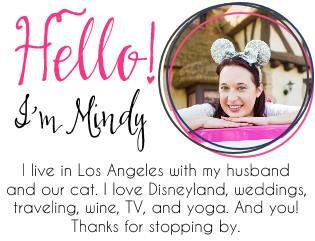 (I assume you will be given paper tickets at the gate to use for Fastpass machines and such.) 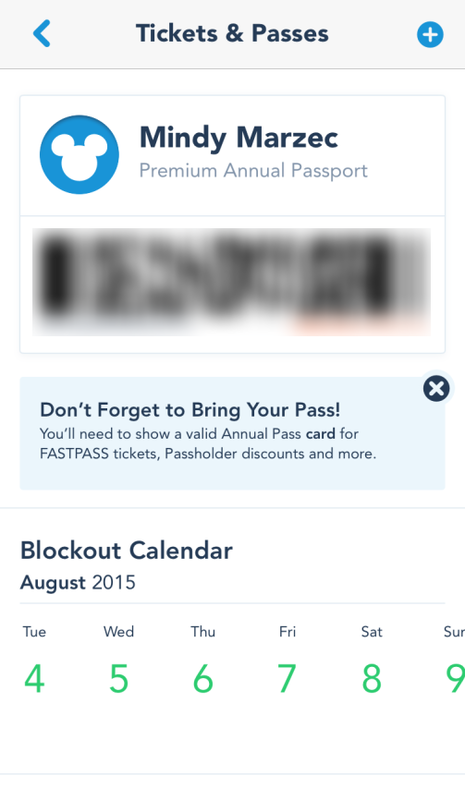 Annual Passholders can also link their account to the app and find out their blockout dates and even scan the app at the front gate for Park entry (you still need your physical pass for AP discounts and Fastpass). 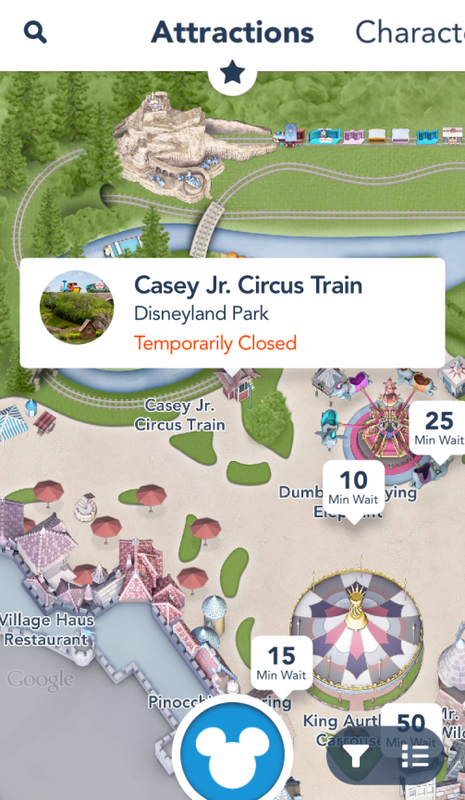 The Attractions section will not only tell you wait times, but also if an attraction is currently closed. Need to find a restroom? 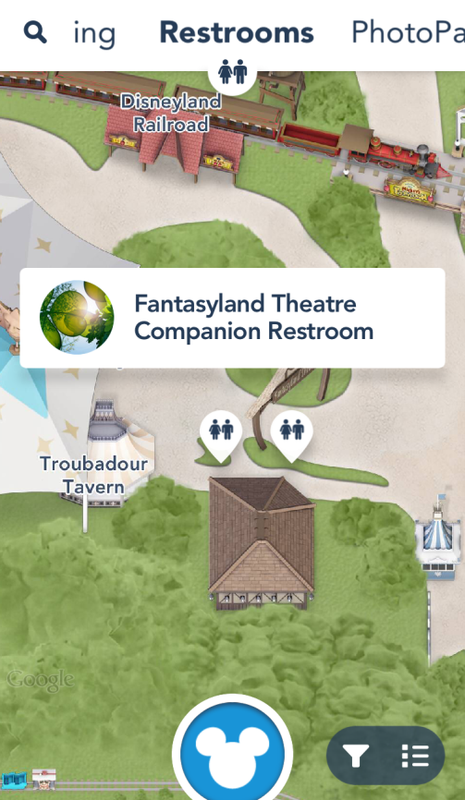 They are all listed, even family restrooms. 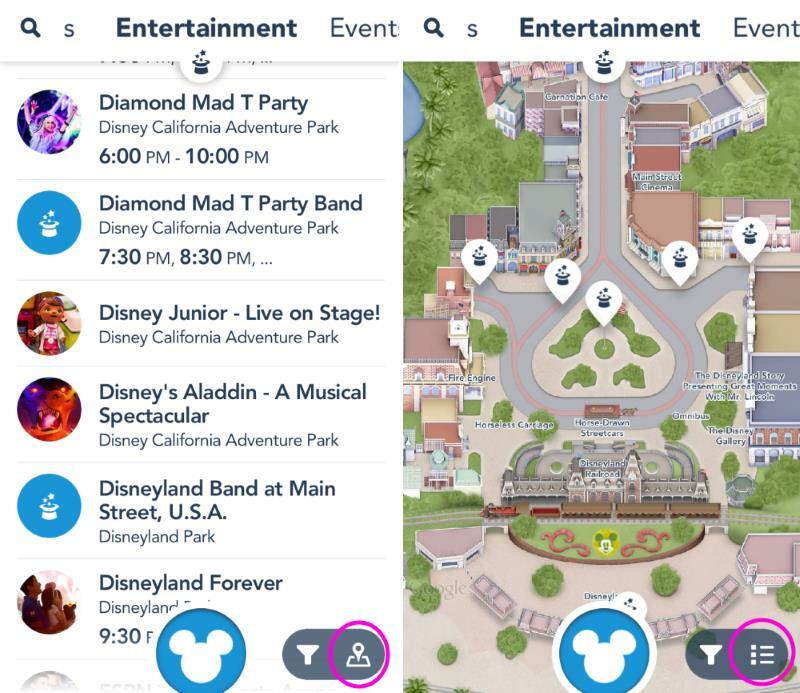 A cool feature of the official Disneyland app is finding out where characters will be out and at what times. 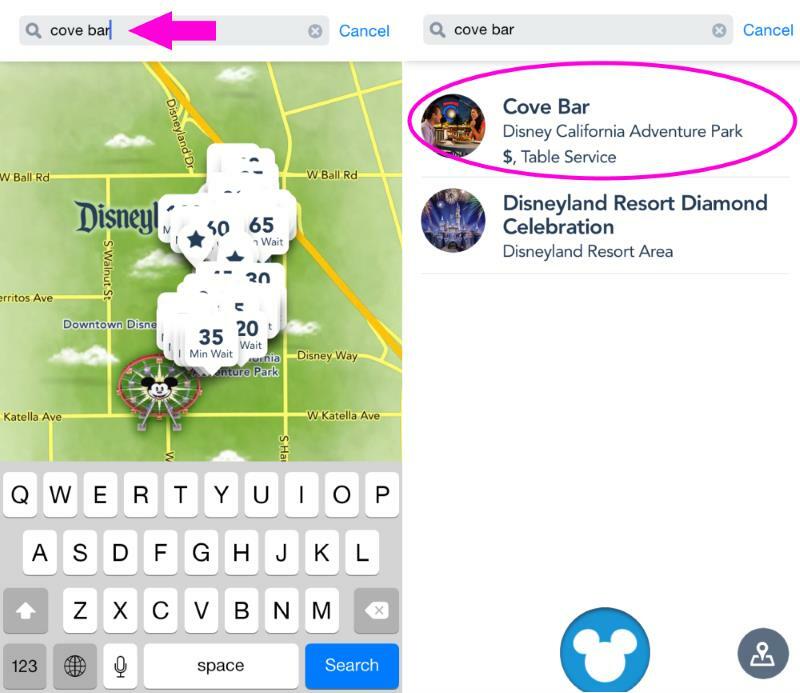 You can either search by location or search by character. 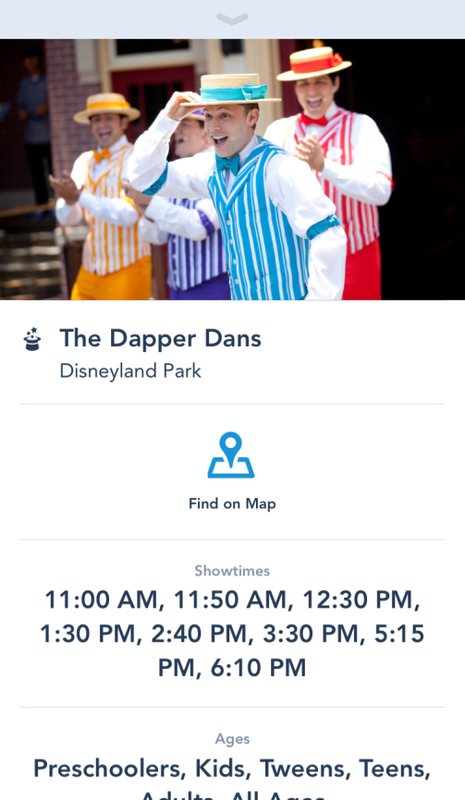 You can also search for entertainment events like showtimes for the Disneyland Band or Dapper Dans. Want to find out what time Flag Retreat Ceremony is at? 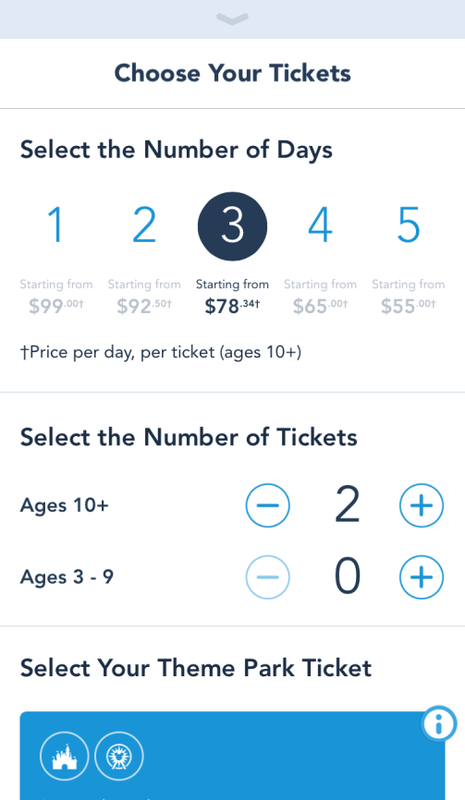 You can easily find this on the app. 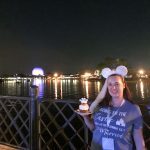 Can’t find a churro cart? There’s an app for that. 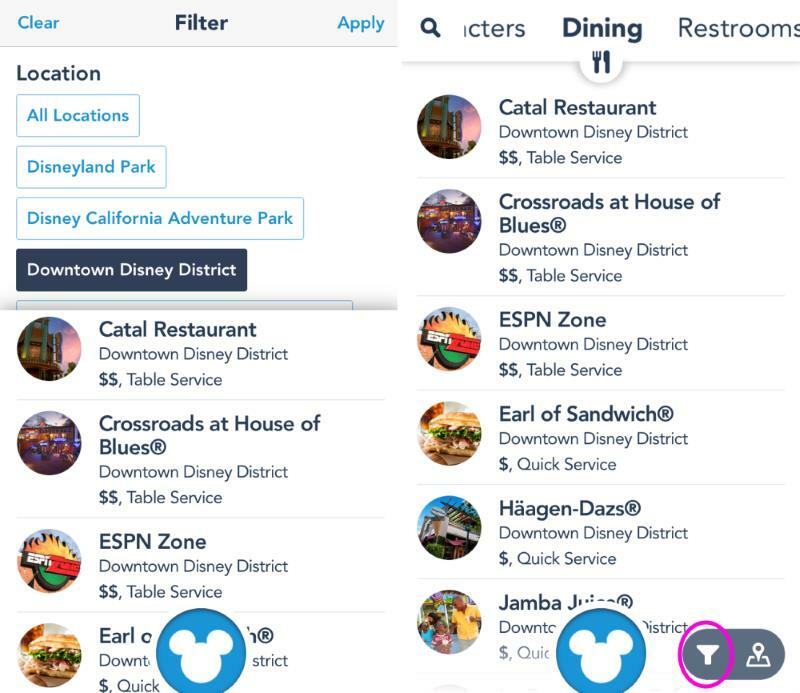 If you are only visiting one Park, you can set a filter to show you just one park, or just Downtown Disney or the resort hotels. Just press the little funnel icon in the bottom right corner to open the filter settings. Also in the bottom right corner, you can toggle between List view and Map view. 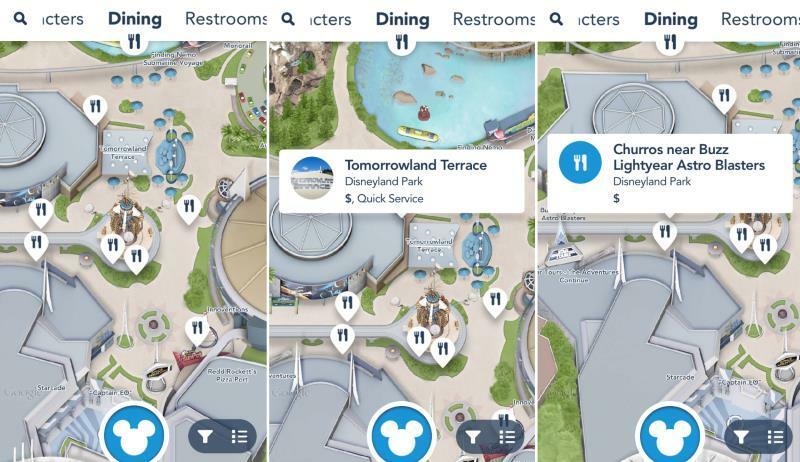 Handy if you want to just scroll through dining options or quickly view all attraction wait times. 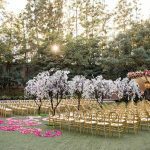 Another great feature is finding out information about the Good Neighbor Hotels. 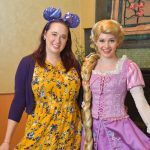 The Good Neighbor Hotels are non-Disney hotels in the area (but still are vetted and recommended by The Disneyland Resort). 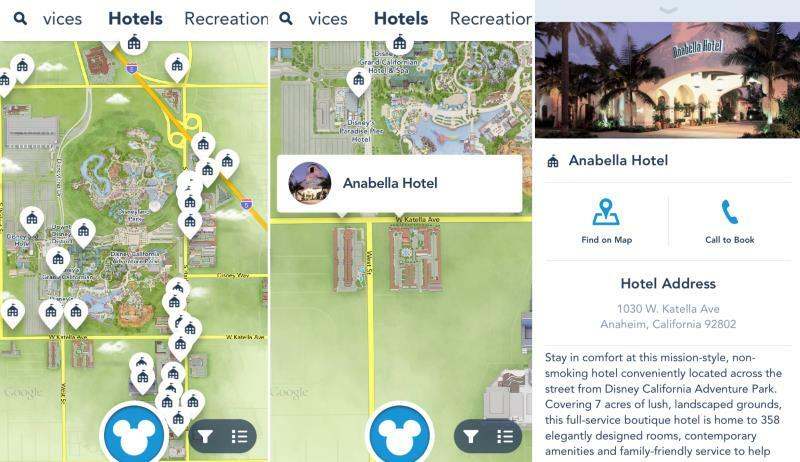 They don’t have full hotel maps or amenities listed, but it’s easy to find out the location and access their phone number quickly. You can also easily search for just about anything using the Search function, by tapping the little magnifying glass in the top left corner. Just playing around with the app for a little bit, it’s very easy to use and the functionality is great. 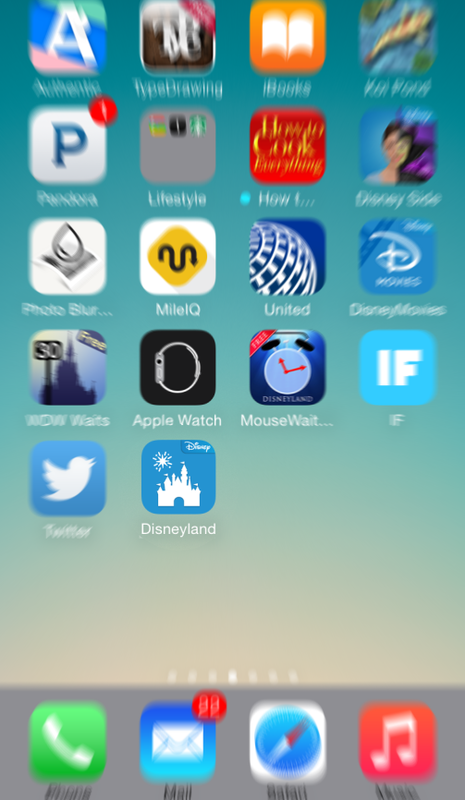 This will definitely replace some of my unofficial Disneyland apps on my phone. 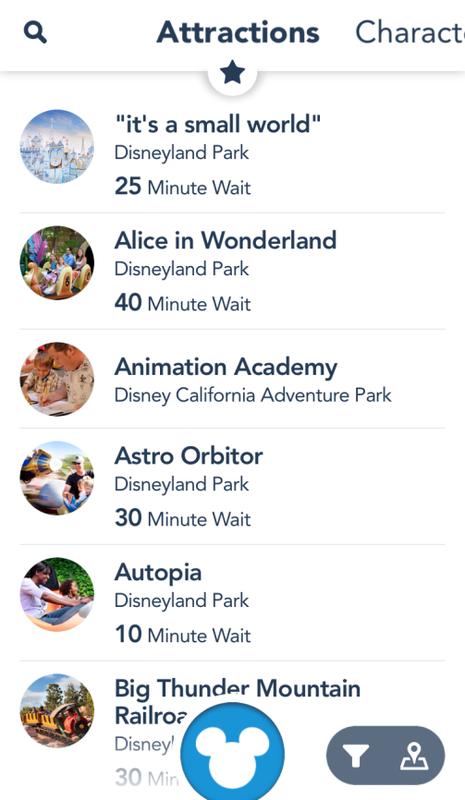 However one thing that it seems to be lacking right now is a crowd index, so for that I will hold onto my MouseWait app for now. 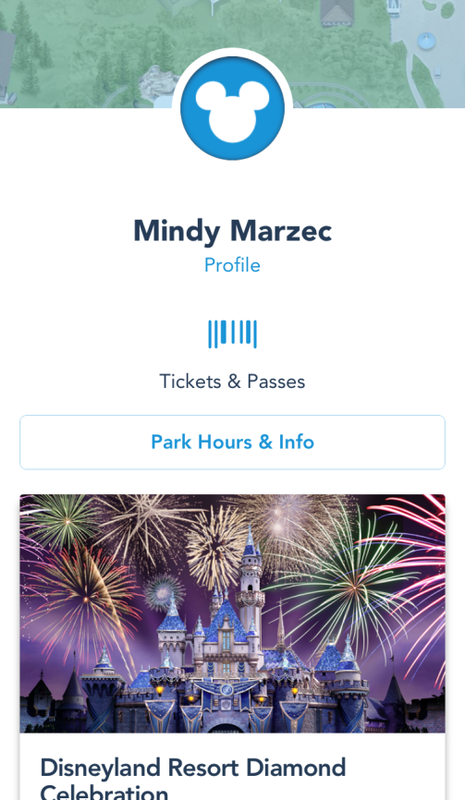 What’s your favorite feature of the new official Disneyland app? 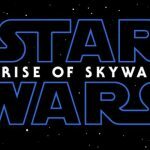 What feature(s) would you like to see in the future? 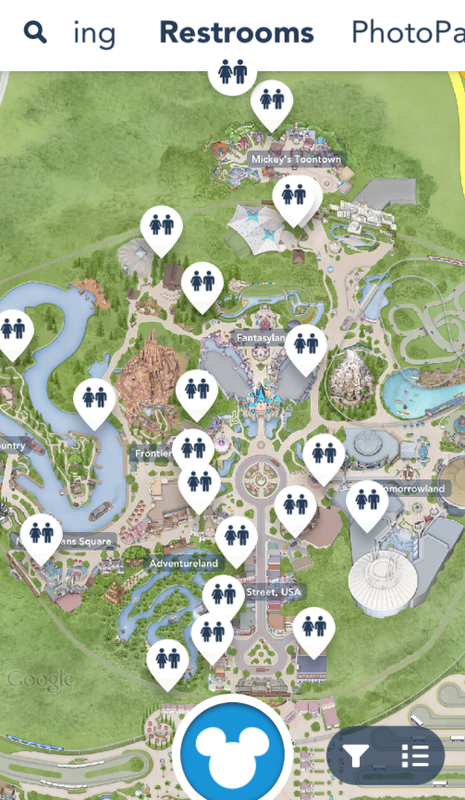 I was going to joke if they had a churro cart locator, but I see they beat me to the punch because they do. LOL That’s neat! 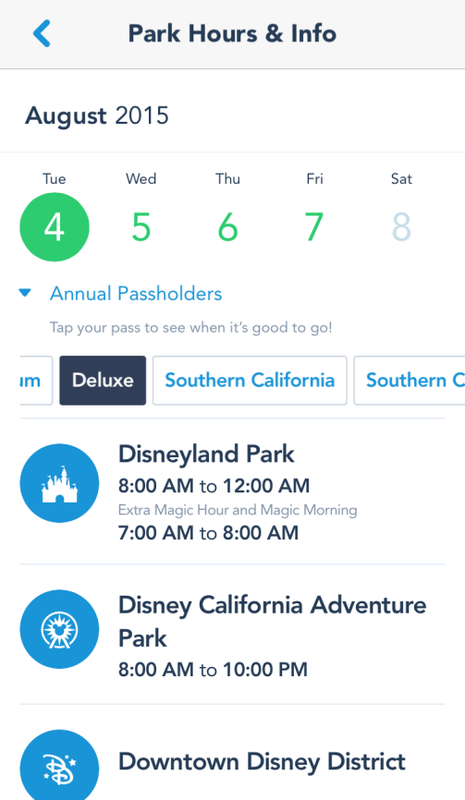 I like grabbing the paper time guide at the entrance but I guess if they decide to do away with those at some point, I’ll know what app to download.